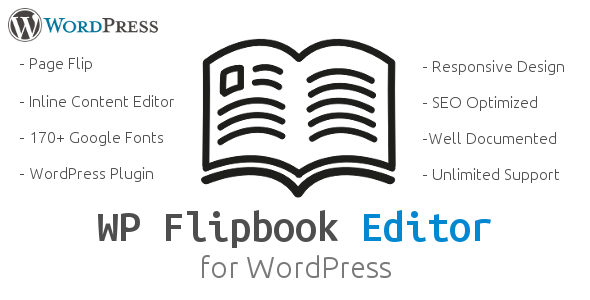 WP Flipbook Editor is a WordPress plugin that can be used for creating beautiful html booklet-like components that allow a page flip navigation. Any content can be used, such as videos, images or text. Create your HTML Flipbooks with the self-explanatory and simple WP Flipbook Editor. Creating Flipbooks has never been so easy for WordPress. A beautiful page flip effect for your self-made HTML Flipbook. A WordPress Plugin that is 100% compatible with all Themes and Plugins. It’s fully responsive design and clean was tested on all major handheld devices.